For one, I wrote a piece for it called “Louis the Legionnaire” about my experience training with a tough-as-nails former Foreign Legion soldier. But there’s more to it than that. 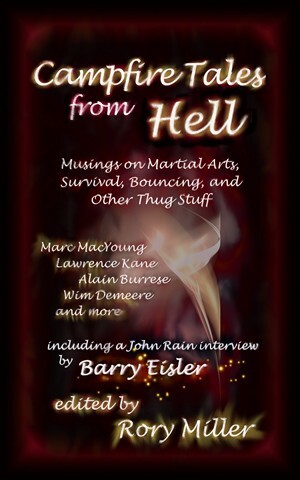 Campfire Tales From Hell is a collection of knowledge and information on dark and difficult subjects you simply will not find easily elsewhere. The reason is that those who write about it usually don’t talk about these kinds of things to people they don’t know very well. There needs to be a high level of trust before they even consider sharing their story. These are just a couple of the stories in the book, there’s a lot more. So don’t hesitate and get this puppy right now!